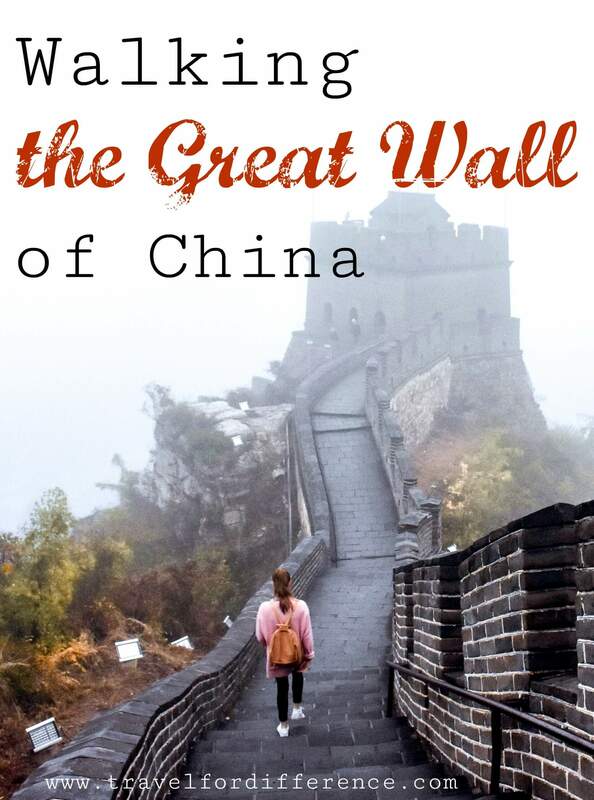 Walking the Great Wall of China is a once in a lifetime experience – no doubt. Stepping foot onto one of the world’s most well-known landmarks is something that no one could ever despise, due to its major cultural significance and outstanding structure. During my trip to China, I had the opportunity to walk the Great Wall and for more reasons than one, it was an experience that I’ll always remember! 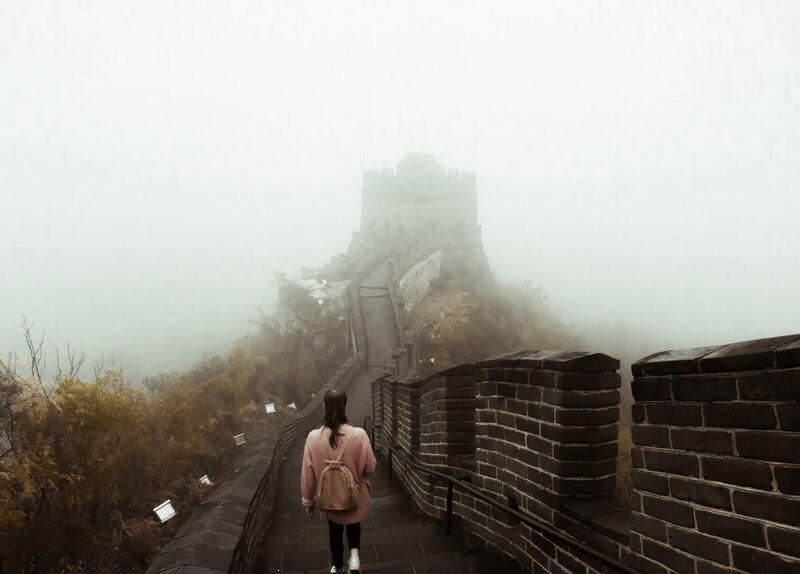 Visiting China in October is risky in itself – Autumn can be very unpredictable (especially in the North) meaning that temperatures and weather conditions can vary from one moment to the next. 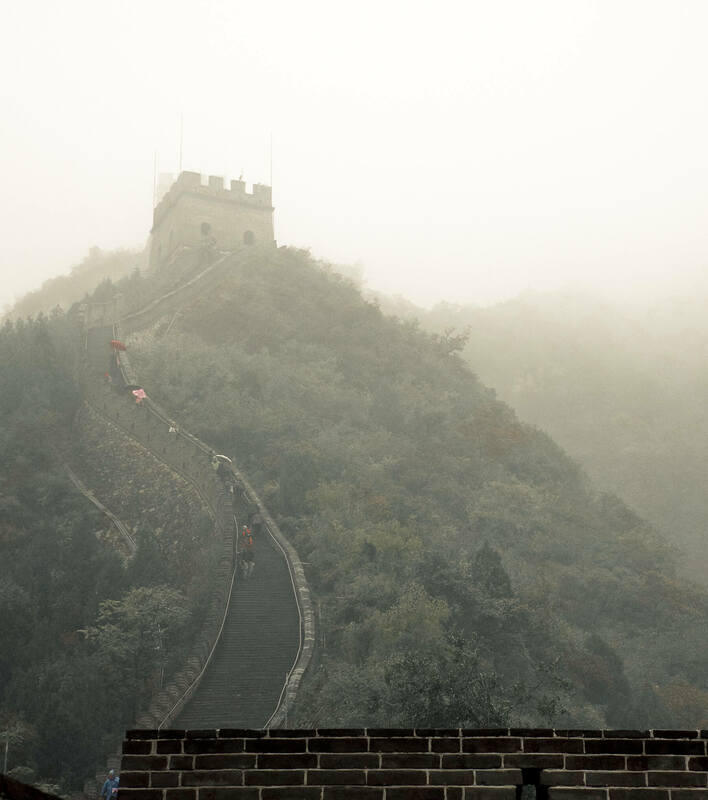 Our trip to the Great Wall was pre-booked, and unfortunately when the day arrived, I opened my hotel curtains in Beijing to a deep layer of fog and an abundant of drizzly rain. It was disappointing to say the absolute least; as for many people like myself, the Great Wall of China is one of the most important parts of any trip to this country. As I’m sure you’re well aware, we humans can’t change the weather… So I went to this world heritage site with a slither of positivity! 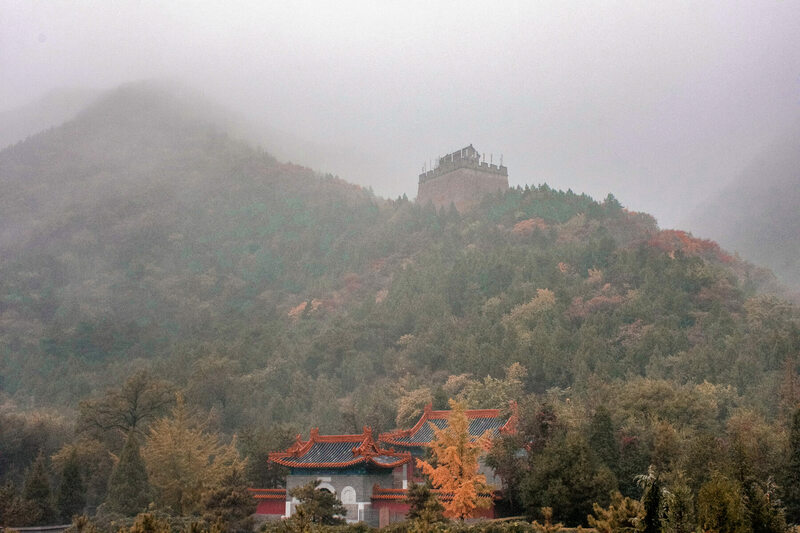 Due to our location in Beijing, we were taken to the Juyong Pass – about 50 km from the city centre. Juyonguan is one of 4 of the Great Wall’s famous passes; this one being the closest to Beijing. 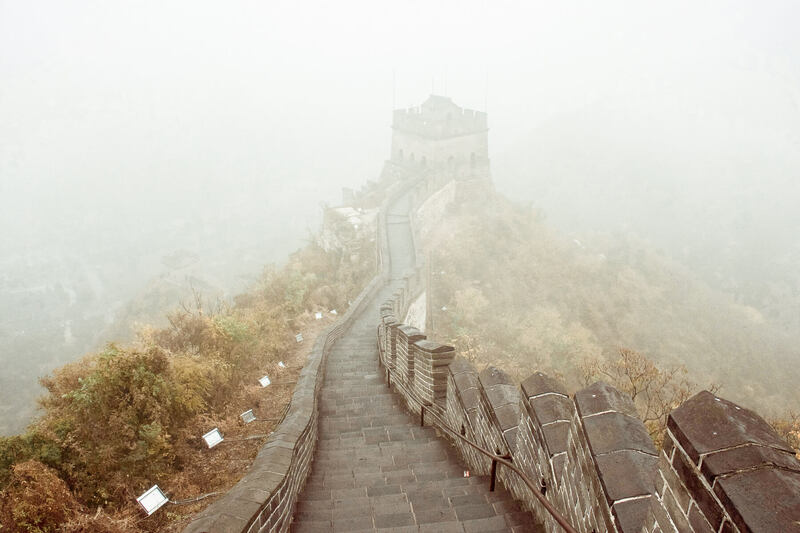 It was a pass that was built in the Ming Dynasty, between 1368 and 1398, in order to connect the inner land and the area near the northern border of China – as well as protecting the important city of Beijing! So as you can probably gather, this part of the Great Wall is full of such important history, and we were about to walk on the magic! This particular pass is situated in a valley, meaning that the weather sadly settled between the mountains and our visibility was very limited. But of course, you can’t let nature put a downer on your day, so we set off on a hike to the highest point of the wall – Tower 13. From the valley floor to the highest point was 300 metres tall, and 600 metres above sea level. A constant walk that took about an hour to achieve! The uneven stairs and the constant rise made it a very difficult hike, especially for those like me that aren’t all that fit… This can also become seemingly more difficult if you are experiencing the Great Wall with kids, or with someone that has a physical difficulty. Luckily the 13 towers made the perfect point for a breather, and the whole way along the walk was grasped with a handrail to assist in reaching whichever point you desire. The Cloud Platform is also an amazing piece of history, with temples and a beautiful view of the wall from deep within the valley. 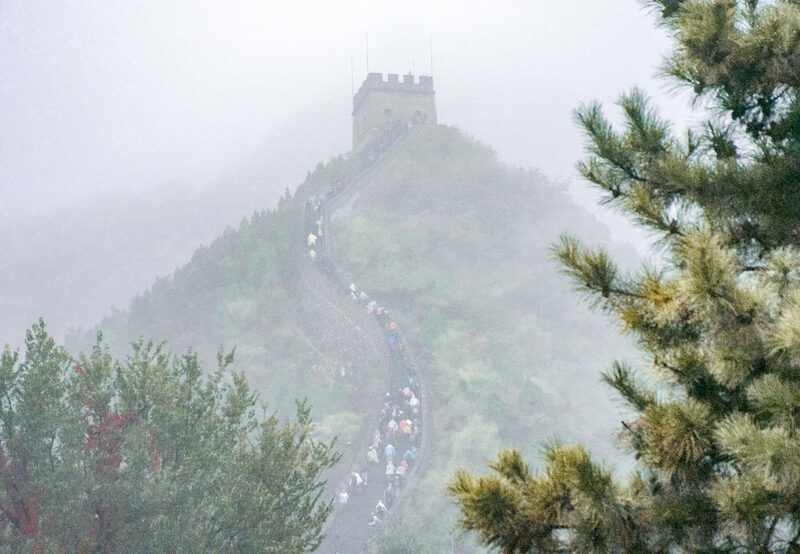 For those that don’t want to tackle the walk, you can still say you’ve been on the Great Wall whilst sitting between beautiful mountains and sipping on a cup of tea – Perfect! Unfortunately on this particular day, I reached the highest point of the wall to a view that was basically non-existent. All I could think of during this walk was “imagine the view on a sunny day”… But what can you do, right? All in all, to be able to say that I’ve walked to the highest point of the Great Wall that a tourist can possibly reach, is a pretty great achievement! If you are interested in doing the same, the Juyong pass is a much more relaxed gradient if accessed from the Northern side. For those that want to tackle the long, steep walk from the South, make sure you bring a lot of water and suitable walking shoes! The wall is uneven, but it sure is beautiful. Even on a dreary day, walking the Great Wall of China is something that will never leave my mind. Although I was very frustrated with the dreary weather, I’ve turned it around as motivation to come back and walk on this 2500-year-old piece of history in the summer. Maybe to one of the many other amazing Great Wall passes! You have to turn a negative into a positive somehow, right? 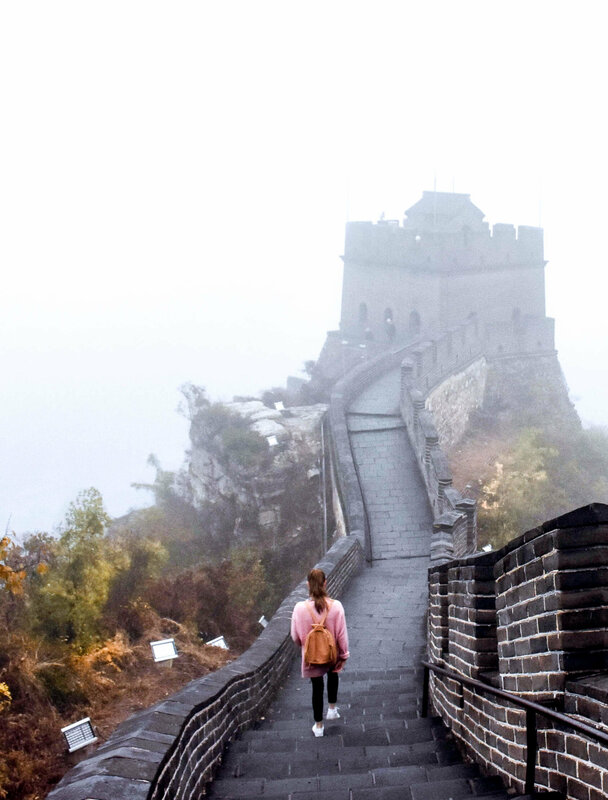 Over to you – Is walking the Great Wall of China on your bucket list? Very cool! Your pics are amazing. The pictures are great despite the fog. What is the average temperature like in October? Thank you! I must say that even though the weather was miserable, it did make for some photos that are unlike those you traditionally see of the great wall!